Greek American congressmen encourage American public to Travel to Greece this Summer. Second week of the Greek News Campaign. Four Greek American Members of Congress, Zack Space, Gus Bilirakis, Shely Berkley and Dina Titus, along with former Senator Paul Sarbanes join forces with “Greek News” and encourage Americans to travel this summer to Greece and enjoy its rich beauty, culture and hospitality and help the country’s efforts towards economic recovery. Greek News spoke to the members of U.S. Congress in the sidelines of the Hellenic Leadership Conference in Washington D.C., where many delegates and dignitaries applauded our Campaign. Speaking at the Conference the Ambassador of Greece Vassilios Kaskarelis once more applauded the Greek News initiative and wished to bare fruits. Many members of Congress, along with Vice President Joe Biden, expressed their solidarity to the efforts of Greek government to save the country through painful measures and promised to continue their support. I congratulate you for your effort to encourage people to visit Greece. Without question the most beautiful place on the planet, If I had the time I would definitely be there for the Summer. But I ‘ve got my campaign and I hope to be there within the next twelve months. But, I join my voice with yours, Go now, Greece needs you now; we need Greece now more than ever. It’s an honor and a privilege to serve as co-chairman of the Hellenic Caucus. I encourage people to go to homeland, to Mother Greece this summer. First of all, it’s a wonderful experience and take you children with you. I am hoping I have some time in August to take my children to Greece. It’s nothing more important for them than to explore their heritage. I haven’t been there for many years. 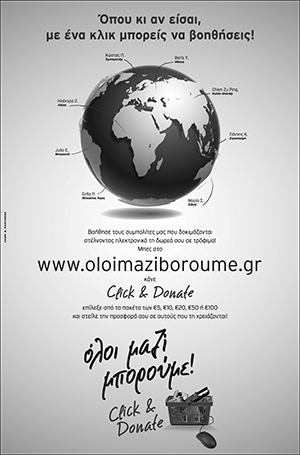 Please, help out the Greek economy as well by going to our Greece. We have to continue to fight for our issues. We are here in Washington for Cyprus and we won’t rest until we unify the island. Everyone should go this summer to the old country. 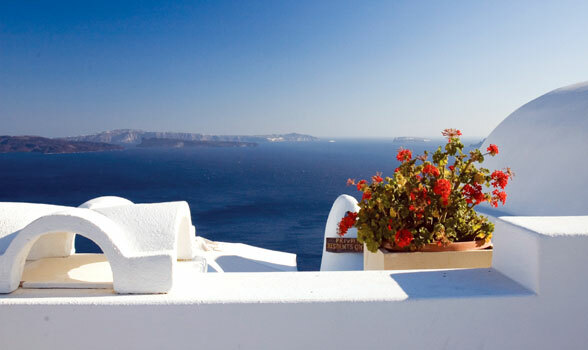 To visit Greece for its history and culture, for the food. I enjoyed been there many times myself. Greece is like Las Vegas. It lives on tourism. We welcome people and we have open arms for them. Some of us have concern about the stability of Greece, both economic and political. The United States needs a strong Greece as an ally in that of the world and some people who claim to be friends of Greece criticize both Greece and U.S. for bailing it out, for becoming more like Greece with spending. These are not real friends of Greece. As we know Greece is having very tough time. And representing Las Vegas I understand that, because we are having tough time too. So, I will do two things. I will encourage all Americans to go to Greece, support the people of Greece by going on the most beautiful vacation you ever going to have, living its rich history civilization and beauty and helping the Greek economy with your tourism dollars. But I will also tell the people of Greece, if you have disposable dollars, Come to Las Vegas for a great time, we need your help too. I want to congratulate the Greek News for the effort to make people think to visit Greece this summer. It’s a wonderful country and they will have a wonderful time. There is some bad publicity now, but that cannot cloud once picture of a wonderful potential visit. Back in 1985, when there was a travel advisory and people were scared I went over to Greece to inspect the airport and contrary to the advisory to stay for the summer. Of course now there is not such a US advisory and they say it’s fine to go there. Greece was just named as having the cleanest most pristine beaches in the EU ! 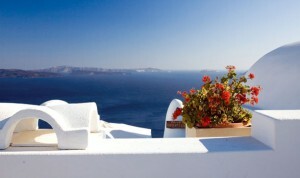 Greek News and the GNTO should promote that to help tourism in Greece.